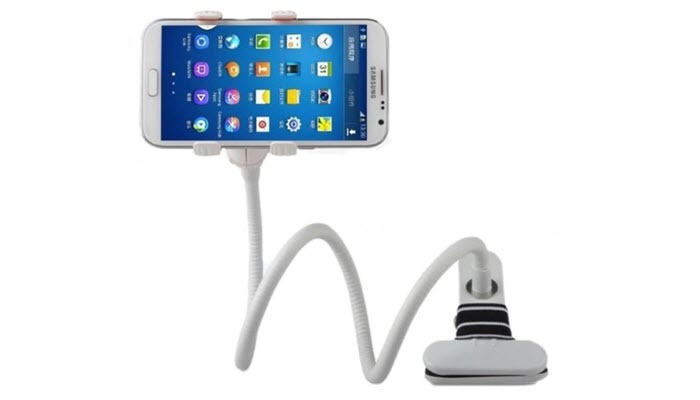 These days, we rely a lot on our smartphones on everyday activities even when driving that’s why having a good car phone holder is now a necessity. Navigating with a GPS app and making important phone calls are just some of the reasons. When making phone calls though, we must remember to use hands-free calling and drive safe. Here are some driving safety tips that you can take note of. If you’re driving with your little child, you must also ensure that they’re safely seated. Here is a guide on the safest infant car seats. There are different types of car phone holders available and they each have their own mechanisms and styles. A phone mount or holder needs to keep your phone secure and at the same time, make it accessible for you while driving without jeopardizing your safety. 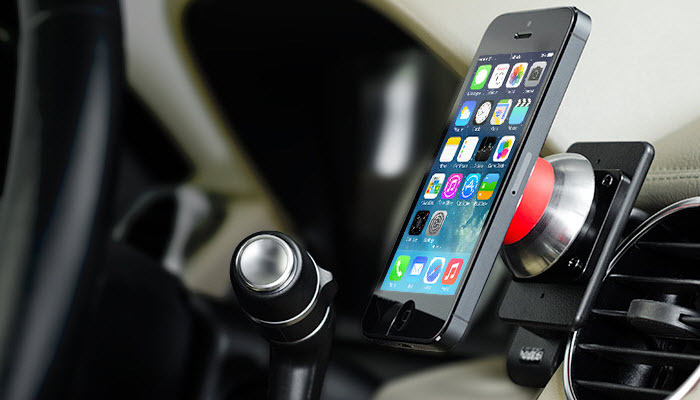 On the top of our list is the iOttie Easy One Touch 2 Car Mount Holder. It features a one-touch mounting system which quickly locks and releases your phone with just a gentle push. The sticky gel pad will securely stick on your car but can be easily removed when needed. It sticks on any surface, whether smooth or textured. It has a telescoping arm which extends up to two inches more so that you can easily view your phone while driving. The design of the foot allows you to connect cables or chargers as well. Following our top choice is the iOttie Easy One Touch 3 Universal Phone Holder. It has an enhanced universal one touch mounting system which lets you lock and release your device with just a push of a finger. The difference with the previous model is that it has an improved spring mechanics so that it’s more versatile. The telescopic arm extends up to 5 inches so you can view your phone in more angles. This new design also allows you to fit phones up to 3.5 inches in width so you can mount more types of devices. It rotates 360 degrees at the top of the mount. 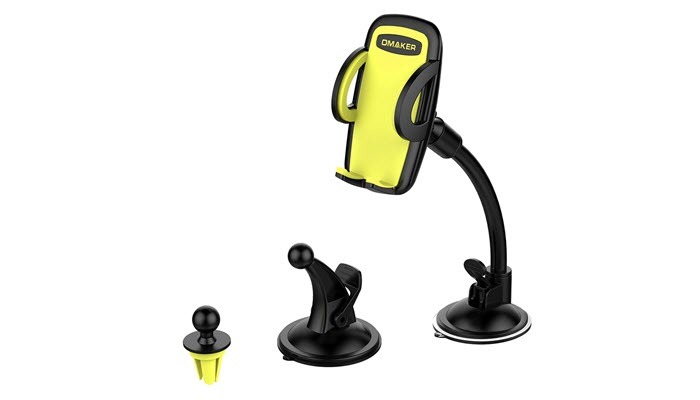 The Omaker 3 in 1 Air Vent Cell Phone Holder is also a nice option. It has a three in one design which lets you mount the holder in three ways. You can clip it to your car’s air vent, mount it on your dashboard, or on your windshield. It’s easy to release the device. Just give it a soft push. It rotates 360 degrees so you can view your smartphone in any angle you like. 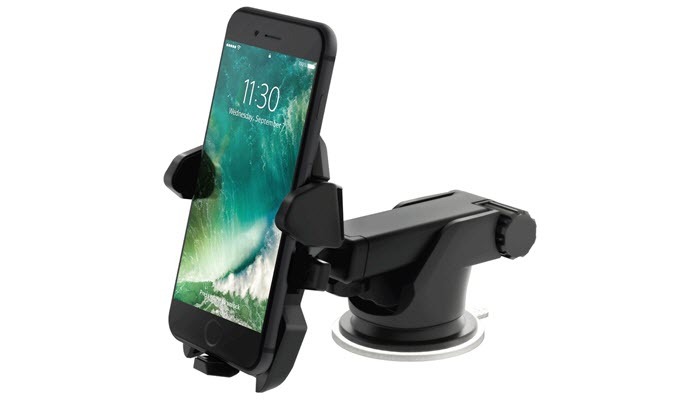 This phone holder is sturdy and has a strong suction cup to keep it steadily in place while moving. It has a soft padding so your device is protected from scratches. 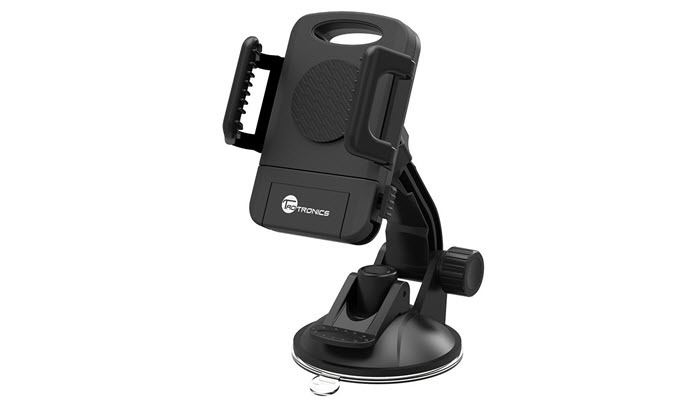 Another great option is the TaoTronics Car Phone Mount Holder. The nice thing about this is that you can extend the arm up to 180 degrees so you can easily access and view your phone while keeping your focus on the road. The holder also rotates 360 degrees so you can adjust the angle according to your needs. The suction cup has an extra layer of sticky gel and would easily stick to any surface. 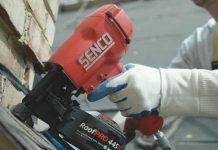 It’s easy to clean the suction cup so that you can use it well as new after some time of use. It can extend up to 3.9 inches wide to accommodate bigger phones. You should also check the CAW.CAR Universal Magnetic Car Mount. It has an extra strong magnet which provides great stability not just for phones but also for light tablets. It’s easy to lock your device in place. Just hold it close to the mount and it will lock automatically. No need for clamps or cradles. It’s a universal phone mount so this is compatible with any phone. The phone holder uses neodymium magnet so it’s super strong and would securely hold your device in place. It has a stylish look and would go well with any car interior. 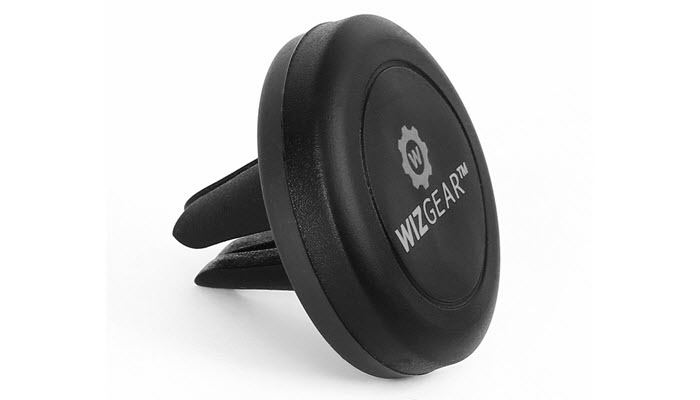 If you want something that’s super affordable, you can try the WizGear Universal Air Vent Magnetic Car Mount Holder. This produces an intensive force of attraction that will securely hold your smartphone. The base has a high-quality rubber construction that will keep the mount in place despite road vibrations or sudden stops. It can swivel and rotate so you can adjust the viewing angle of your device. 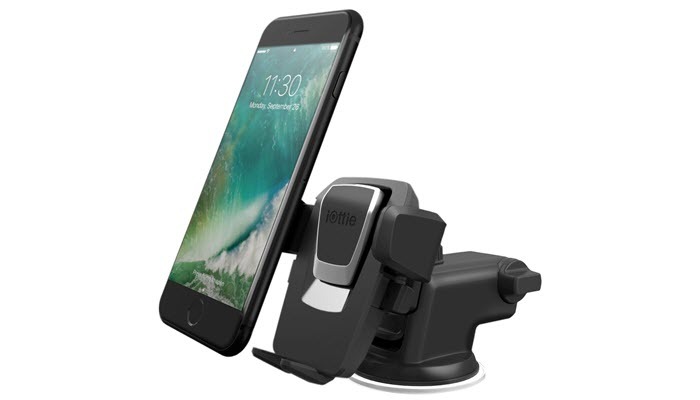 This car phone holder attaches to your air vent and will stay in place even if you swivel and rotate the mount. It’s easy to use and clip. No special installations required. Choosing a car phone holder depends on where you would like to place your phone. Some are meant to be mounted on dashboards, others on air vents. They also offer different features. Most car phone holders use sticky gel on the suction cup to hold it down. 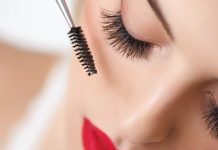 Make sure that it is suitable for the surface of the area where you would want to put it on. Some suction cups will stick even on rough surfaces. If you want to place it on a curved surface, there are models that are suitable for that too. For holders that have arms, it will be best if the arm can extend a little so you can adjust the viewing angle of your phone. Some of these even bend forward and backward to give you a better view. 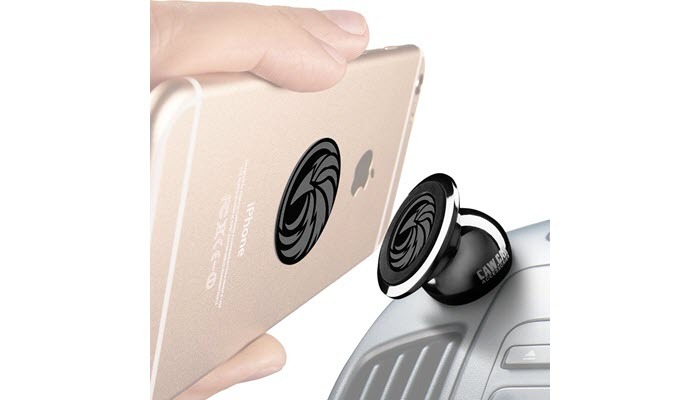 If you opt for a magnetic type car phone holder, make sure that the magnet can be easily attached on the back of your phone and would not look awkward when not mounted. Strong magnets that really keep your phone secure are the neodymium types. It will also be great if the mount or cradle can be rotated because this will give you more versatility when viewing your device and keep your focus on driving. 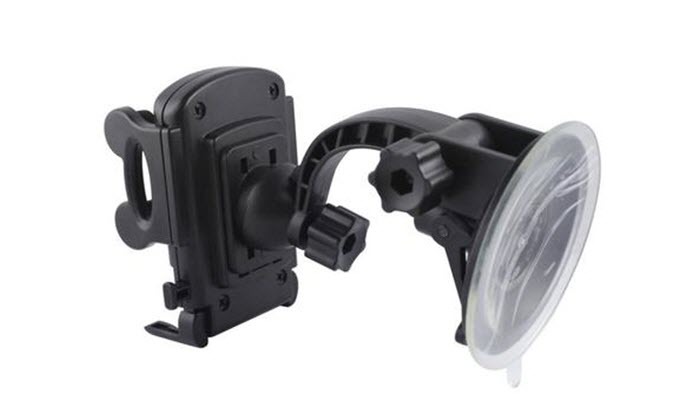 Whether you choose to place your car phone holder on your dashboard or air vent, the important thing is that it is securely in place and easy for you to access and see. On the other hand, you might want to check our best phone case for your gadget’s protection. Plastic Baby Bottles vs Glass: Which Type Is Better?